Rural Directories in the Back? 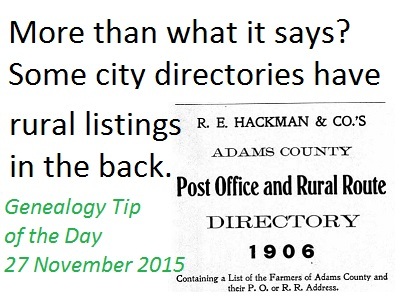 Some directories are titled as being a “city directory” but have broader listings in the back. This 1906 Quincy, Illinois, directory had a listing of rural residents in the county–in the back. Don’t let the title mislead you.